What is a fatberg? And what causes them? They’re big. They’re smelly. They’re disgusting. Giant, oozing monsters lurking beneath our feet. And it’s all our fault, people. We did this. We created… the fatbergs. If you’ve not yet had the distinct displeasure of learning about this modern phenomenon, a fatberg is a congealed mass that forms in sewage systems when we flush/tip products we shouldn’t down the toilet or drain. 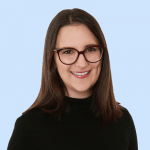 Speaking to Mamamia‘s daily podcast, The Quicky, Michelle Cull of Queensland Urban Utilities explained that fatbergs consist mostly of cooking oils that people have poured down the sink. Listen to Mamamia’s daily news podcast The Quicky. Post continues after audio. Fatbergs were first reported around 2013, and have fast become the bane of water boards around the world. One was discovered in the sewers beneath London in 2017 that was the weight of 11 double-decker buses and the length of two football fields. Meanwhile, Queensland Urban Utilities is reporting that they’ve recently cleared roughly 360 fatbergs in and around Brisbane alone – the largest, a seven-metre monster, had to be removed via crane. It’s pretty simple, Cull said. “We do encourage everyone of course to only flush the three p’s: pee, poo and paper. And of course, not to put those cooking oils down the sink,” she said. Rather than pouring that glug of oil from the pan, or uneaten soup down the drain, Cull urges people to use newspaper or paper towel to soak them up and dispose of it in compost or household rubbish. Also, avoid those ‘flushable’ wipes. These modern products don’t disintegrate when flushed and are a big contributor to the fatberg problem. If you must use them, dispose of them in the bin. Not all heroes wear capes. 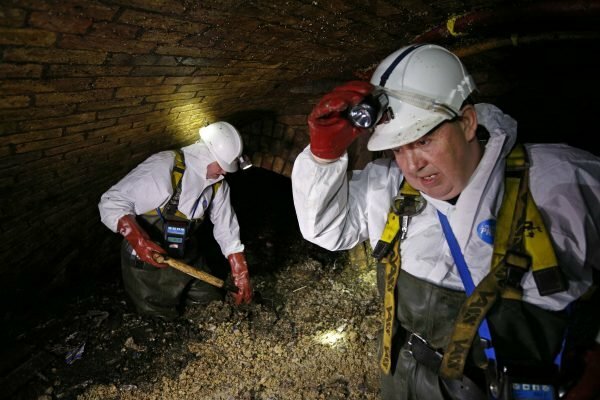 Brave souls work to break down a fatberg in London. Image: Getty. Left alone, fatbergs can cause blockages that can overflow into the environment, or even on your own property. Plus they cost taxpayers millions. But if you won&apos;t think of the environment (but please do, please), or the money... then at least think of the people. The ordinary men and women who have to wade through the sewer and tackle the fatbergs head-on. "They use a piece of equipment called a jet rodder to clear the fatberg, and that&apos;s like a high-pressure water hose," Cull said. "They can even attach different nozzles to the top of the hose, like cutting tools, that can help cut through the fatberg. It can take several hours to remove a fatberg, depending on the size of it, and it can be a one- or two-person job." Heroes, the lot of &apos;em.